3D design is a big market nowadays. From games level design to architecture, and even to 3D art, there has been a massive need for experts in this field. Of course, one cannot be blamed for not being able to afford such software when starting out this endeavour as they can be very pricey. Usually, a professional design program costs $60-$100 and that’s not exactly a cheap investment. This is why there are free 3D design software online, which are effective enough to get the job done, but at the same time, are varied and can cover multiple bases at one time. Here are top ten choices for those just starting out with these programs. 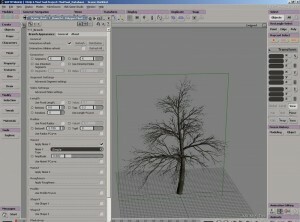 A great program that eases you into the world of free rendering software is 3DVIA shape, and there’s a reason for that. 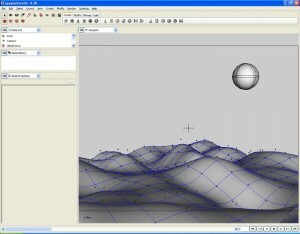 It has a simple interface, smooth controls, and is moderately intrusive when you start rendering your models. It has simple options, but has enough expansive features to cover basic designs. For amateur 3D animators that need a bit of detail when creating projects or animating big stuff, then this is a great place to start out. While True Space lacks a bit in other departments, it does a great job with lighting and texturing landscapes and your 3D models. It’s a great program to start figuring out how shadows work on these 3D models. There’s also a bit of an application side as well, and you can share a lot of your work online with a fair amount of ease. 3D design really covers a lot of bases, and students of architecture should know a bit about this. 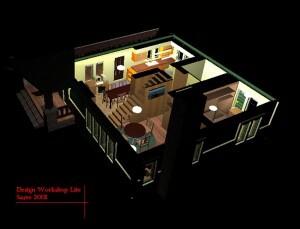 DesignWorkshop Lite is an excellent program for those that need a freeware version of Auto-Cad, but also need a form of detailing to their buildings. It has textures and filters which make each design pretty while still emphasizing the need for accurate vectors and such. This program is not for those that want to learn how to animate or even for architecture majors. Instead, this piece of freeware is designed for those that need complete and accurate measurements for shapes on the 3D plane. 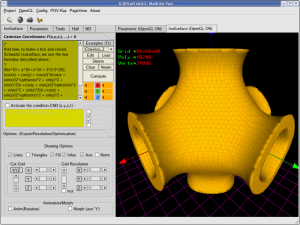 It has a ton of formulations that even allow it to represent a model in six dimensions. It’s a program aimed at those that need total mathematical accuracy. 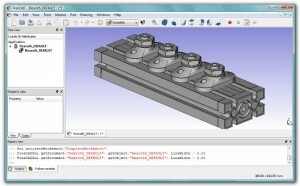 FreeCad does one aspect of 3D modelling exceptionally well, and that is the motion of 3D objects through varying difficulties and aspects. 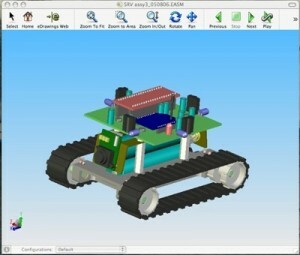 The motion is accurate to the dot and also provides numerous calculations which make it perfect for engineers that need to create devices that have multiple moving parts and need to be simulated while in motion. Amateur scientists have also been known to dabble with this program from time to time. 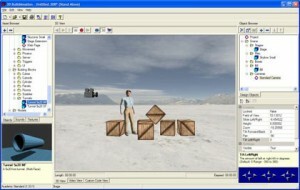 Yet another freeware program that concentrates on level design, Blink 3D covers a lot of aspects in these terms. It has massive amounts of detailing in the textures and you can even open models from existing games just to see how they look or how well they are made. The difference is this one has more detail in editing, and has a layout which presents all possible tools that you can use in order to make these 3D models. You can also use it as a means to make architectural design, but the output might end up a little more cartoony then you’d like. Another start-up program that deserves a higher spot on this list, this piece of software emphasizes ease for users. Basically, it uses a point and click procedure to make animations simpler to understand for users, and it does so with both 2D and 3D models. This makes EDrawings an excellent choice for beginners that want to get a grasp of animating before they start taking on bigger jobs. 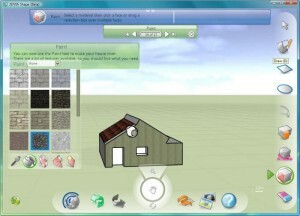 Other than that, it can also be used to make simple designs and 3D objects. 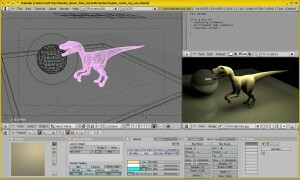 Animation is integral in 3D design now, so it’s no surprise XSI Mod Tool takes a top slot on this list. This takes what you know about animation and 3D design, or whatever basics you do know, and amplifies it by ten. You can modify, design, and even animate any 3D model you want which also comes along with a plethora of features you can exploit to make each design better. A great all around program for those looking to dabble in most any kind of 3D design, K-3D offers a ton of solutions which aren’t necessarily tacked on to the main program. Instead, it allows you to Mod the main program with any number of plug-ins readily available for use and it has no impositions or limitations as to how many you can really tack on. This makes it an excellent choice for any 3D designer and is worth a look if you’re not in it just for the games design. Ah, the beauty of the internet and advancing software technology. The best thing about free software is that 2 out of 3 times, the stuff that comes out are very highly supported, deeply detailed, and can almost rival the bigger and more expensive brand name programs. 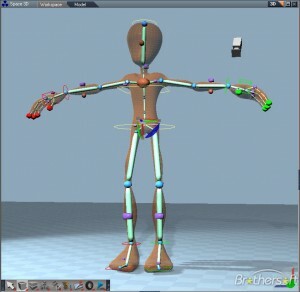 Blender is an open source 3D rendering software that is both highly supported and has a community that constantly updates and creates plug-ins for the thing. At the same time, it is also used as an animator and covers the bases when it comes to texturing and even creating 3D applications. It’s also great at non-linear design and editing, which means you can do quite a bit with it. Undoubtedly, if you’re looking into 3D design as a career, or for school projects, then these free 3D design software should tide you over. The list isn’t limited to these ten though; after all, there are still tons of freeware programs out there that you can exploit so that you get a little more experience.